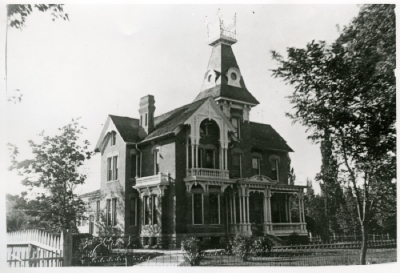 Black and white photograph of a Queen Anne style house. Home first belonged to Oliver Snow. Later owned by Joseph Hansen 1909 - 1929.